Episode 22 is with none other than Melbourne's own, supar star vegan GP, Dr Malcolm Mackay! Dr Malcolm Mackay is a General Practitioner currently practising in Fitzroy, Melbourne. He also provides Skype consultations to remote patients within Australia. Malcolm has a special interest in preventing, treating and reversing chronic disease with a whole food, plant-based diet. Malcolm’s personal and professional interest in plant-based nutrition began in medical school 35 years ago. After graduating, he was actively involved with the Pritikin Health Association in Adelaide before furthering his nutrition education with a Graduate Diploma in Human Nutrition from Deakin University. In recent years, Malcolm has connected with the plant-based nutrition movement and leading practitioners in the USA and rekindled his passion for Lifestyle medicine. He has attended the first five International Plant-Based Nutrition Healthcare Conferences in the USA and recently completed the Plant Based Nutrition Certificate from Cornell University and the CHIP Facilitator training. With his partner Jenny they have created the website: www.wholefoodsplantbasedhealth.com.au as well as the Facebook page, Plant Based Health Australia and run seminars and a 5-day immersion program in Victoria. Malcolm began his plant-based journey as a competitive distance runner, triathlete and recreational snow skier. Malcolm and Jenny are regulars at the local pool and gym and Malcolm still posts a reasonable time for marathon and fun run events. When you sit down to chat about the benefits of a plant based diet with this man, you know you are going to get your money's worth and he definitely delivered during this interview. Dr Mackay is definitely ahead of his time, having been vegan since the 1980's when he was at uni, when there were pretty much only the odd handful of hippies committed to this way of eating, further emphasising that Dr Mackay truly is a pioneer within the low fat, whole food, vegan movement. In this interview Dr Mackay covered so much of his personal and professional experience regarding living and healing as a low fat, whole food, vegan and it was an absolute pleasure to listen to him share his incredible knowledge on this topic. You can also learn more about eating a low fat, whole food, plant based diet at the Facebook group founded by Dr Mackay's incredible partner Jenny Cameron here. Dr Mackay and Jenny also developed a wonderful one-stop-shop with their website Whole Foods Plant Based Health where you can find pretty much everything you will ever need to adopt and thrive on a low fat, whole foods, vegan diet. This website has the latest health research, support, workshop dates, seminars, success stories, weight loss tips, and so much more. Definitely a place to check out if you're wanting more information on the health benefits and how-to of this way of eating/living. 2. 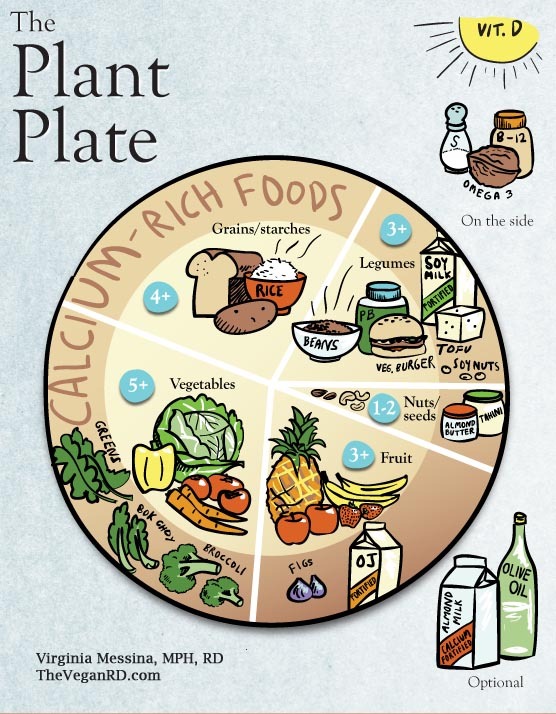 Use the plate method to make eating a wide variety of whole, plant foods, that are low in fat, and optimal for your health simple and straight forward. 3. HOPE. You CAN do this. Thank you Dr Mackay for taking the time to speak with me and I hope this episode inspires you to consider a low fat, whole food, vegan or plant based diet for your own health and wellbeing and for the health and wellbeing of the animals and the planet. Wishing you all the very best of health until next week!